Business dictionary defines benchmark data as "information collected from sources to determine how other firms achieve their high levels of performance". This makes it ideal for finding out more about suppliers and the market if leveraged correctly. It is vital in developing a clear, accurate comparison of competition and should be tailored based on the specific category involved. The first step is admitting that there may be better options that an incumbent supplier in the marketplace can provide. The second step is to learn an effective way to identify those options using data collected from multiple sources. From a strategic sourcing standpoint this process involves balancing price while not compromising the quality or totality of services offered to the business. This involves introducing a sourcing/cost reduction strategy, after analyzing the benchmark data, which still ensures the satisfaction of all the stakeholders and fulfills requirements of the business. The information relevant to the benchmark will vary based specifically on the type of information needed; such as cost, SLAs, contractual terms and conditions, etc. When completed, the benchmark exercise should detail how well an incumbent supplier is doing compared to its competitors. While robust data collection is a start to effective benchmarking, there are other things to consider for adding more value to benchmark data and assisting in analysis. Understanding your data source. This begins with understanding its relevance to the scope of the benchmark. By establishing this connection, the data gathered will lead to a better analysis. 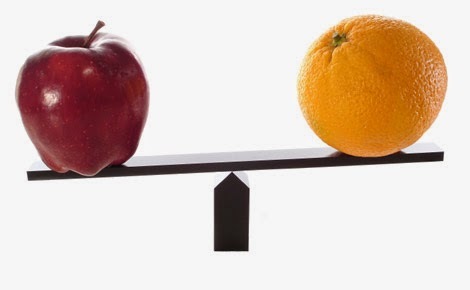 It is important to understand if the source presents a true "apples to apple comparison" between the incumbent and the competitor. If the category being looked at is not able to show a true comparison, it is important to identify significant differences like geography, size, and market. When conducting interviews as a source of information, it's essential to understand the role and relevance of the interviewee to determine their view on the topic. Use metrics that matter. Effective benchmarking involves identifying actionable metrics/measures and analyzing/refining those areas for decision making or changes. In order to improve a process, metrics must be identified that are directly related and true performance indicators to that area. Customization of approach. Modifications should be made based on processes, industries or other criteria relevant to the category being benchmarked. As an analyst, what I collect varies heavily depending on the sourcing category. Select the best competitor organization(s) for comparison. Perform thorough research to determine this through industry associations, publications and internal insight. There may also be unique request for a certain category. In these instances it is important to think outside the box for ways to leverage data to truly add value. Validation of sources. Identify any stakeholders, bottom line figures and problem errors that will have a significant impact on validity. Having reliable sources makes performance/process improvement more obtainable. Effective data management. Having a clear picture of the data at hand will optimize usage across your organization. It is important to control the information generated during research as it may be beneficial in future benchmarks or in other initiatives. You may be able to work within an existing data-set or have to launch an entire project designed to collect information for a specific benchmark.